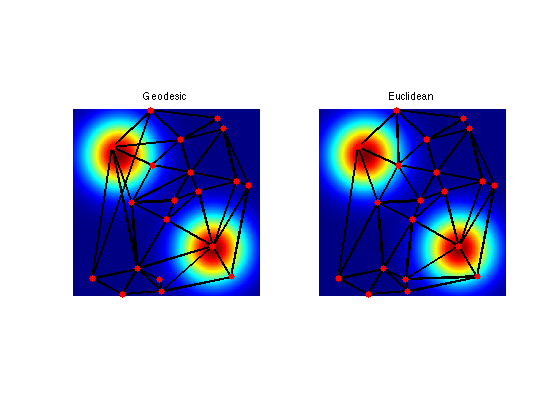 This tour explores the use geodesic computation to perform image sampling. 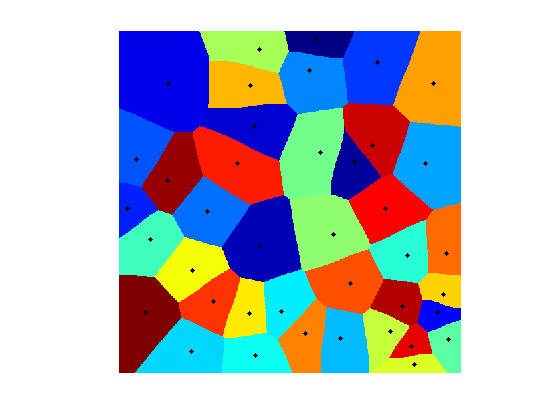 A geodesic Voronoi segementation is obtained by computing a geodesic distance from multiple starting points. Compute an image with bumps. 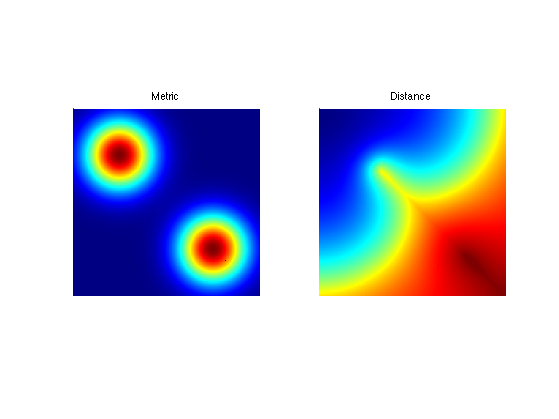 Compute a metric by rescaling M.
Perform the propagation using the Fast Marching. 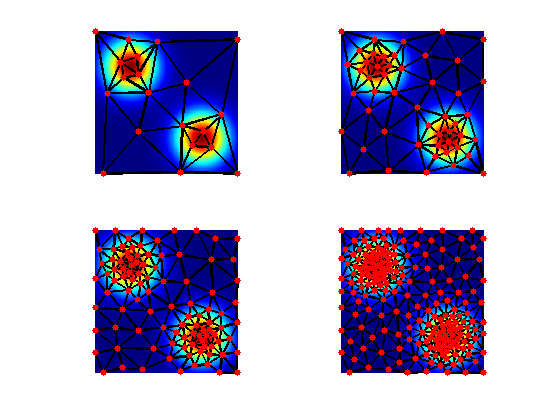 A geodesic Delaunay triangulation is obtained by linking starting points whose Voronoi cells touch. 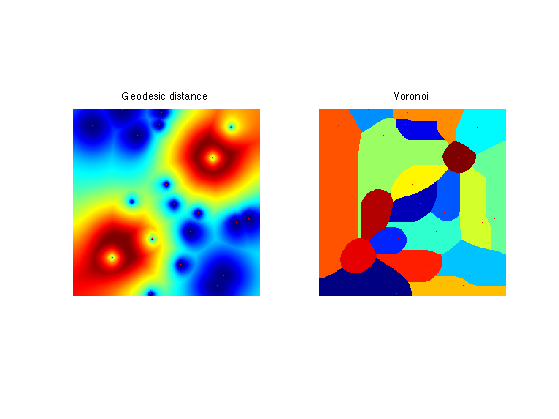 This is the dual of the original Voronoi segmentation. Exercice 1: (check the solution) Using Q, compute the faces faces of the Delaunay triangulation. 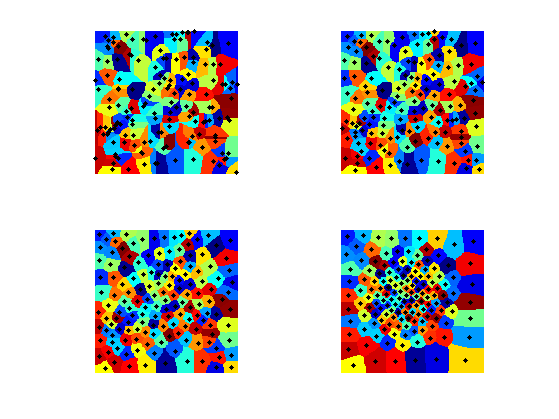 To that end, extract each quad of values Q(i,j),Q(i+1,j),Q(i+1,j+1),Q(i,j+1), and add a new face when three of these four values are different (this corresponds to a Voronoi point). Display the obtained triangulation. Compare this Geodesic Delaunay triangulation with the Euclidean triangulation. To sample point uniformly according to the geodesic distance, one can use an iterative farthest point sampling scheme. Construct a metric that is large in area where we want to sample more points. The front should move slowly in high density sampling region. Choose the second point as the farthest point. 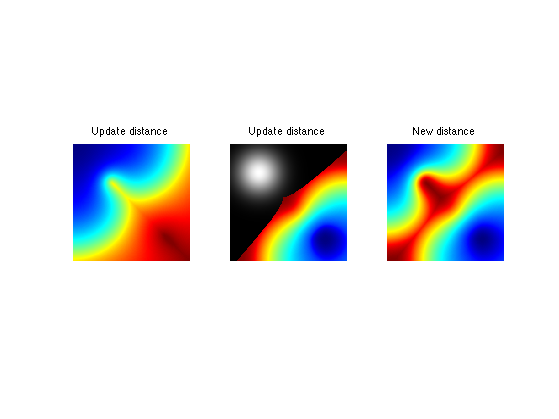 Update the value of the distance map with a partial propagation from the last added point. Exercice 2: (check the solution) Iterate the sampling process to add more and more points. 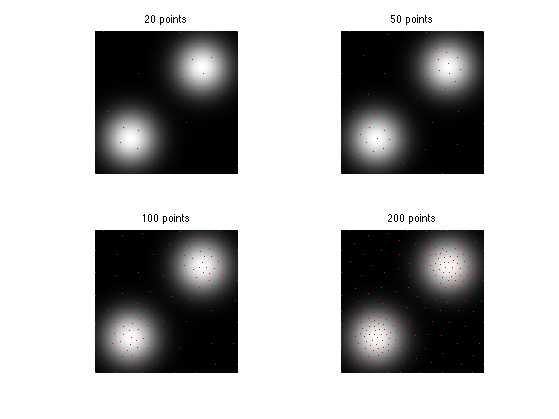 The farthest point sampling strategy is greedy and does not move the positions of the points once they are seeded. 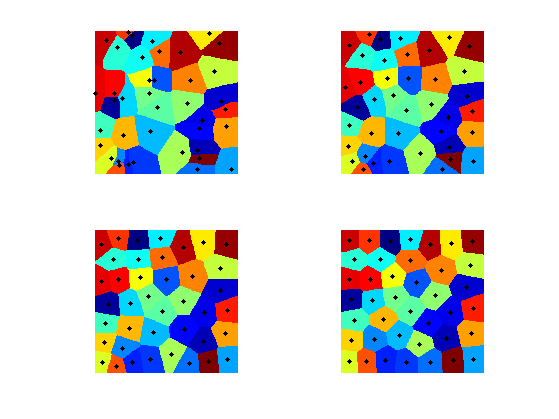 To enhance the sampling, it is possible to relocate iteratively the points at the center of the Voronoi cells. 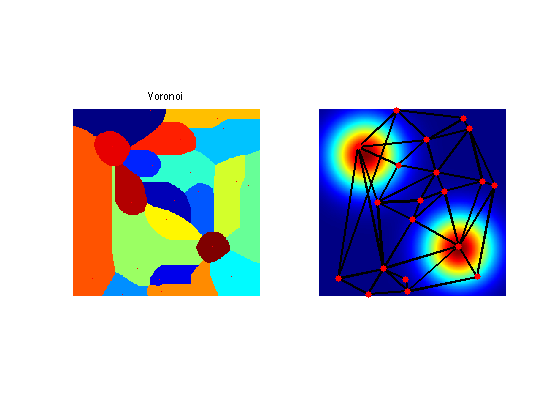 This corresponds to the Lloyd algorithm, first developped for vector quantization. First with a constant metric. 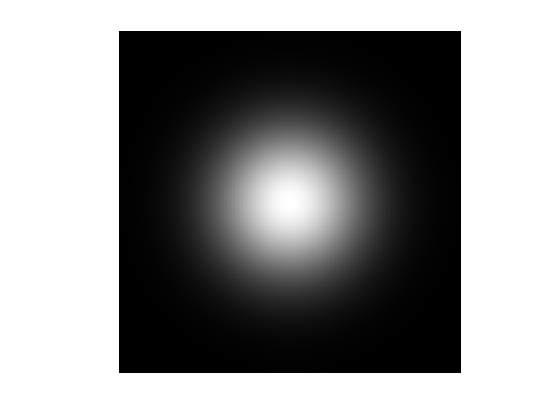 Re-center each point at the barycenter of its cell. Exercice 4: (check the solution) Perform the Lloyd iterative algorithm. Now we define a non-constent metric. Exercice 5: (check the solution) Perform the Lloyd iterative algorithm.